What’s the best way to create something that families want? Ask families what they want. Start there, and you can’t go far wrong. And that is exactly what Butlins did when they wanted to create their 21st Century take on the traditional chalet self-catering holiday. Already Mumsnet Family Friendly Gold Award winners – for the way they treat their team as well as the way they serve families – Butlins wanted their next phase of development to go one step further and actually be created by families. 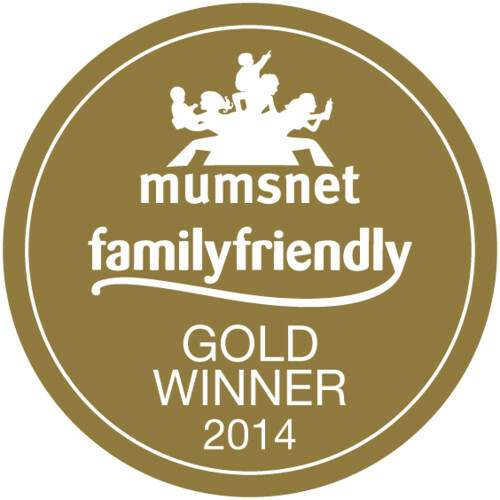 As the biggest and busiest online network of parents in the UK, Mumsnet was perfectly placed to help them with that. So how did we do it? Well, it’s no surprise that the name Butlins carries emotional baggage, for good or ill, as does any brand that’s been around for 80 years. So we kicked off with a survey of Mumsnetters which focused not on Butlins (we didn’t tell anyone who had commissioned the research) but on UK self-catering short breaks in general. What were Mumsnetters’ concerns, what would they pay extra for, what would improve the experience, what would pleasantly surprise them on a family break and what gets in the way of family time? This in-depth consultation covered everything, from how many TVs the rooms should have through to optimum rainy day play activities (board games, not electronics) availability of grassy spaces (to play on and meet friends), right down to the shape and size of the sofa. With over 1000 responses in a week, we were able to collate the Mumsnetters’ opinions and feed them back to the Butlins planners tasked with creating the Family Chalet of the Future. 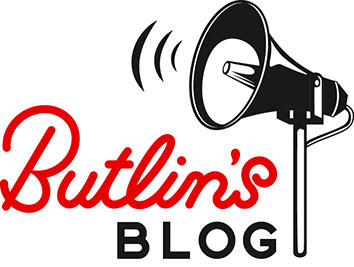 As the building work started Mumsnet’s involvement was picked up by the Daily Mail http://www.dailymail.co.uk/travel/travel_news/article-2766310/Butlins-announces-new-16m-chalets-Somerset-consultation-parenting-website.html and we’re thrilled to see the culmination of the collaboration as the chalets open to the public this Easter in Minehead. It’s a fantastic example of a brand getting their customers involved at the very start of the journey, something we would recommend to everyone. People love to be asked for their opinion – and to have their opinion listened to – and mums who have been there, done that and washed the soggy beach towel are, of course, best placed to say what would make or break their precious family holiday. 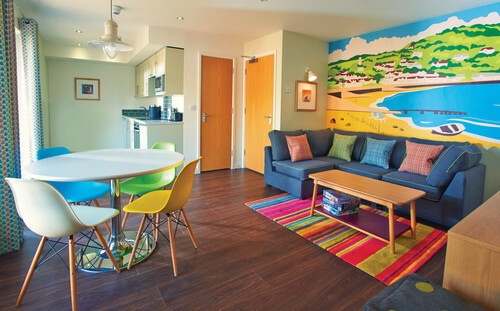 So if you head down to Butlins Minehead this summer and find yourself playing a traditional family board game rather than losing your child to electronics*, watching your kids make friends on the communal “village green” and snuggling down on L shaped sofas with room for everyone, you’ll know who to thank: Mumsnet. (and Butlin’s 😉 of course!). Carrie Longton is co-founder of Mumsnet, an online community of parents sharing advice, support and product recommendations. Over the last 14 years it has become the UK’s busiest and most influential network for parents with over 10 million visits a month, over 180 local sites, and a network of over 4,200 bloggers.Carrie was listed 7th in BBC Radio 4 Woman’s Hour’s 2013 Power List of the 100 most powerful women in the UK. In 2010, she won Red Magazine’s Red Hot Woman of the Year. Carrie lives in London with her husband and three kids Grace, Noah and Mimi.